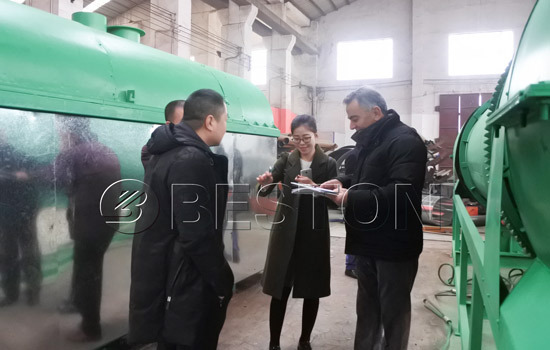 Continuous rice hull carbonizer machine normally uses biomass, like rice hull to make high-quality charcoal. It is generally known that rice hull has small utility value in our daily life, like compost. At present, if you are still looking for rice hull disposal method, why don’t you try rice hull carbonizer? 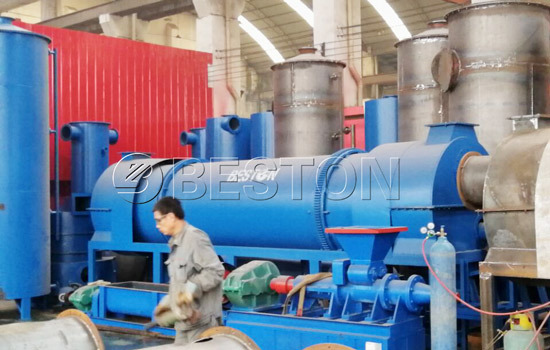 Beston rice hull carbonizer can adopt various material as raw material, such as wood, sawdust, bamboo, wood, sludge, palm kernel shell, etc. These materials have extensive sources and low cost. As you determine to set up your own charcoal making factory, you can choose the appropriate material from them. 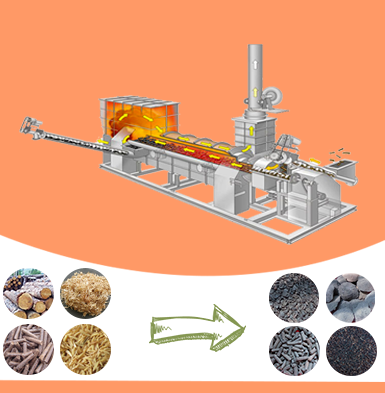 Are you seeking rice husk charcoal making machine which is easy to manage and operate? 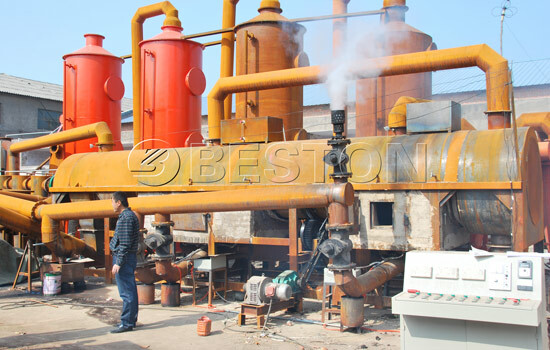 We recommend Beston charcoal making machine. All the charcoal production process is continuous without stopping. Hence, the plant has high efficiency and large productivity. When you deliver the material into carbonization host, the charcoal will be discharged in other side after 15-20min. In other words, we can constantly get carbonized rice husk and don’t stop the machine during the production process. We have five models for you to select, BST-5, BST-10, BST-20, BST-30. Their productivity ranges from 300-3000t/h. Currently, due to the continuous working model, this plant is extremely popular in Vietnam, South Africa, Philippines, Australia, Korea, Uzbekistan, Thailand, etc. 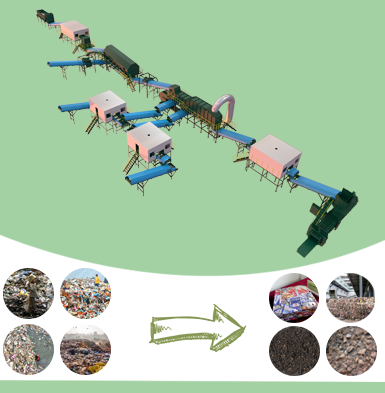 The technology of one fire two steps refers the recycling system. 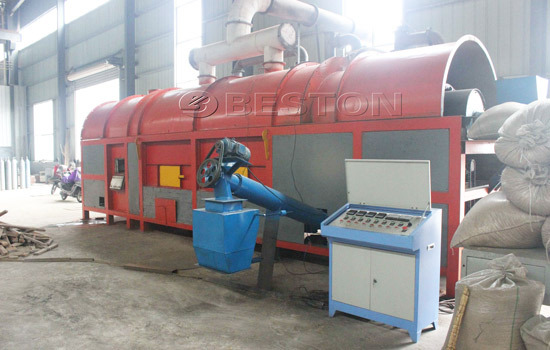 Firstly, Beston machine is able to use waste heat and waste smoke to dehydrate raw material’s redundant water content. Secondly, the waste combustible gas enters into host again as fuel after processed by several procedures. 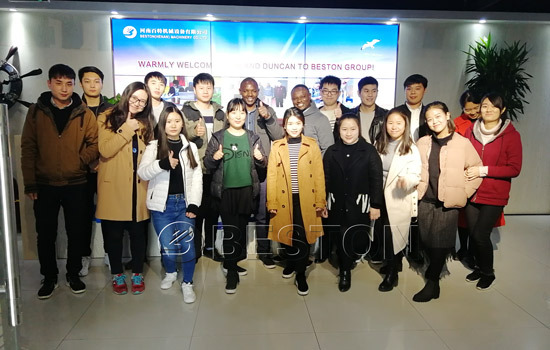 Therefore, the whole charcoal process takes full advantage of fuel, biomass, waste combustible gas and heat, which saves cost and achieves the goal of virtuous circle. We all know traditional machine don’t have this technology. So the cost of adopting traditional machine, including fuel cost and electricity cost, is higher than adopting Beston rice hull carbonizer’s. So what are you waiting for? The heat in the upper layer is used to dehydrate the extra water content of raw material. After dryness, the heat goes into the carbonization host to provide heat. Meanwhile, the heat in the upper layer also keeps the heat of carbonization host to some extent. Accordingly, this design cuts down on some cost for charcoal making industry to the most extent. A. PLC. Managing a rice husk charcoal industry isn’t an easy thing, especially a large-sized industry. PLC just need few people to control the whole rice husk carbonization industry. Therefore, this device not only saves labor cost but also improves the industry’s safety. B. Casing. We put some insulation materials in the casing. Therefore, the casing is able to prevent people from scalding, which greatly raises the security. In addition, the insulation materials contributes to keep heat for carbonization host. C. Low temperature of discharged carbonized rice hull for sale. When biomass is carbonized, their temperature is extremely high. Therefore, when discharged from host, carbonized rice hull needs cooling to low temperature, about 35℃. So workers won’t get hurt. 1. Insulation materials. The carbonizer rice hull with light weight doesn’t have other impurities. And it has low thermal conductivity. Therefore, it possesses the excellent thermal insulation function. Normally, we use it in metallurgy and foundry industry. When the rice hull charcoal covers the surface of molten steel or hot iron, the adiative heat losses will decrease. The following process of rice hull carbonizer lows the discharging temperature and saves the energy under the condition of keeping metal casting temperature. In addition, it can reduce the shrinkage hole of steel, which is advantageous to the steel formation. 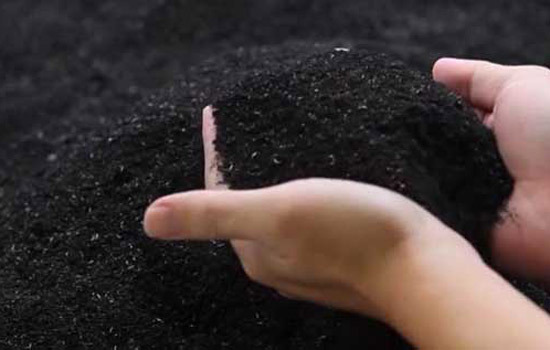 Firstly, the main component of rice hull charcoal is char and silicon, without chemical metal elements, like lead. So, if we view it as activated charcoal, it won’t be harmful to our health. Secondly, the rice husk charcoal is formed under the high-temperature carbonization, which won’t have pesticide pollution. 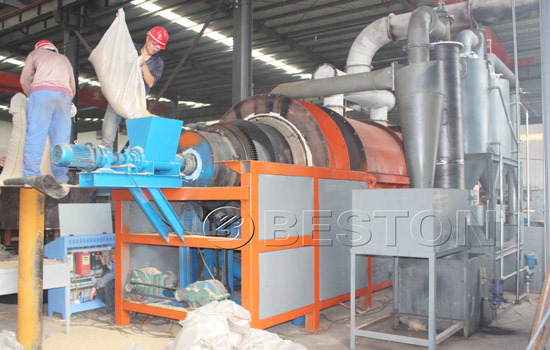 Thirdly, the rice hull charcoal produced by Beston rice husk furnace has lax structure with multi-microbore. Hence, it has excellent adsorption capacity. In the modern society, it has perfect effect on cleaning air, cleaning living water or handling sewage. Accordingly, the rice husk charcoal is innocuity and safe. At present, it is widely used in medicine, candy and food industry. 3. Improving the soil. 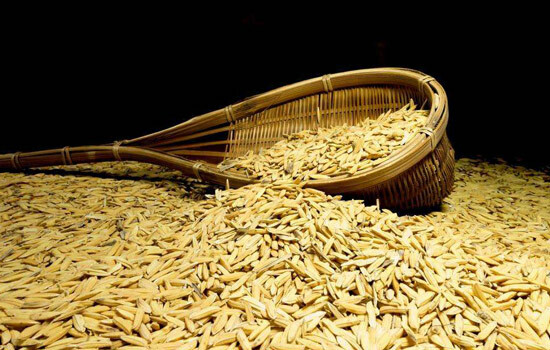 The carbonized rice husk has following advantages to improve the soil. a. Lax structure and multi-microbore help to increase oxygen supply for plant root. b. PH reaches to more than 7, which is superb amendments for acid soil. c. It is conducive to promote the effectiveness of P, K, CA, MG. Therefore, we can treat it as a carbonized rice hull fertilizer matching with other materials. Does the Material Need Drying? If the raw material has more than 15% water content, we advise you should have a dryer. If the raw material has more than 40% water content, you should have two dryers. However, it’s unnecessary for you to have a dryer if the water content is less than 15%. Smaller the biomass is, better the charcoal is. As is known to all, palm shell, wood, bamboo has large size. So, before carbonization, they need crushing into small size. Normally, the size of raw material is less than 2-3cm. If the size is larger than 3cm, the charcoal quality can’t be guaranteed. 1. 24 online service. If you send email to us, we will give you our reply as quick as we could. 2. Online guidance. Any quotation is welcomed, such as rice husk carbonizer details, how to make carbonized rice hull, the requirement of establishing industry, etc. We will spare no effort to give professional guidance for you. 3. Turnkey project. Just give your detailed information to us. And we can design and set up a carbonized rice hull making industry for you on time. 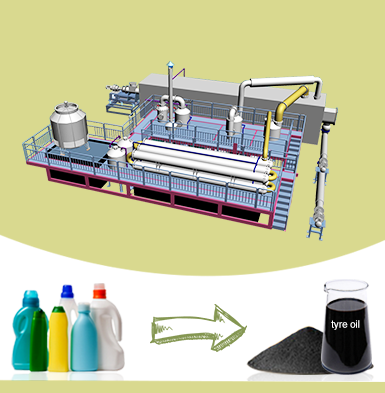 We promise you will be satisfied with carbonized rice hull production plant we build. 4. Long-term guarantee. 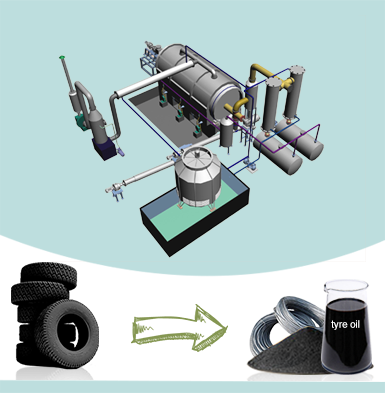 We provide one-year maintenance for your rice husk charcoal machinery. Besides, we have free quick-parts of half a year for you. When you have interest in our rice hull carbonizer for sale, email us right now.